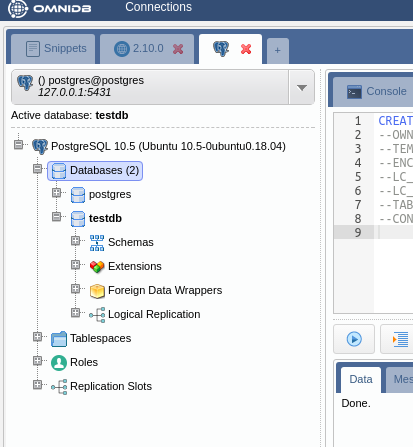 PostgreSQL installer by 2ndQuadrant – now supports OmniDB! PostgreSQL installer or PGInstaller – is a user-friendly, graphical installation and configuration tool for PostgreSQL. With just a few clicks you can install PostgreSQL – version 9.5, 9.6, 10 and 11(beta) – on Windows, Linux and macOS. The latest PGInstaller release includes support for OmniDB – an interactive and user-friendly database management tool to manage multiple databases in a unified workspace. Using utilities bundled with PostgreSQL, the only means to connect to the database is via psql. Psql works via the command line, which can be fairly tricky for new users especially if they are migrating from another database and are not used to the interface. PGInstaller makes the connection process easier with OmniDB. 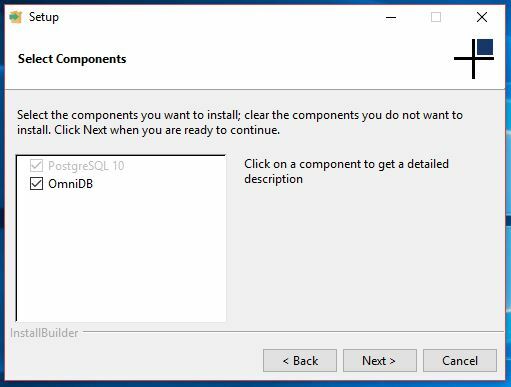 PGInstaller comes bundled with OmniDB, as an optional package that can be selected during the installation process, shown in the screenshot below (this screen will show in the third step of the PGInstaller installation process). To view the complete process, please go through this step-by-step installation guide. 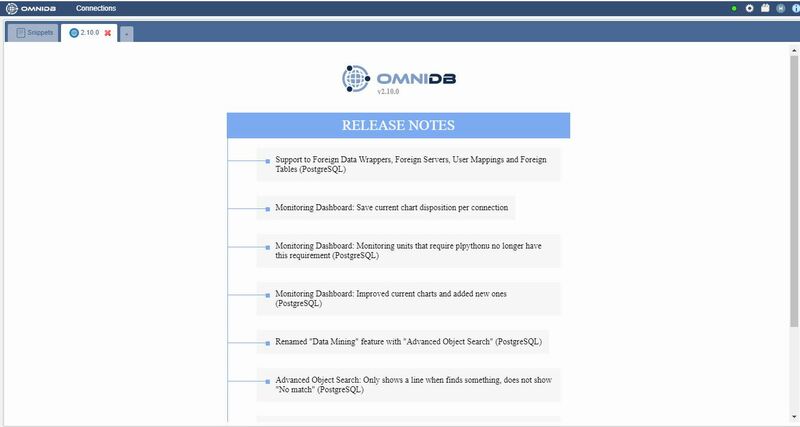 Once the installation process is complete, launch OmniDB. This step varies on different platforms and can be viewed in the “README” file that opens up right after the installation. I will be demonstrating the process on Windows. 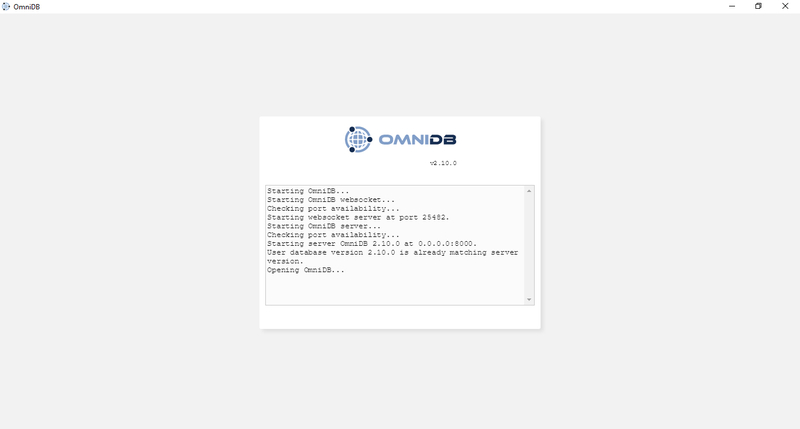 To start using your connection you will need to open OmniDB workspace screen. This can be done by selecting the connection you just created and tested. 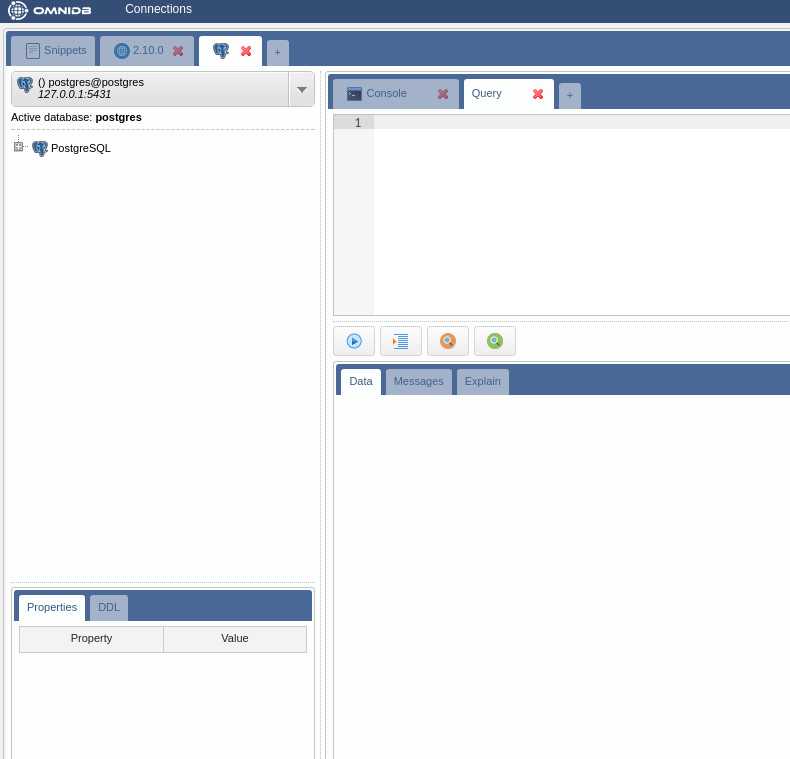 This is the OmniDB workspace, the main OmniDB window. Next time you start OmniDB, if you have at least one connection, this window will be launched automatically. 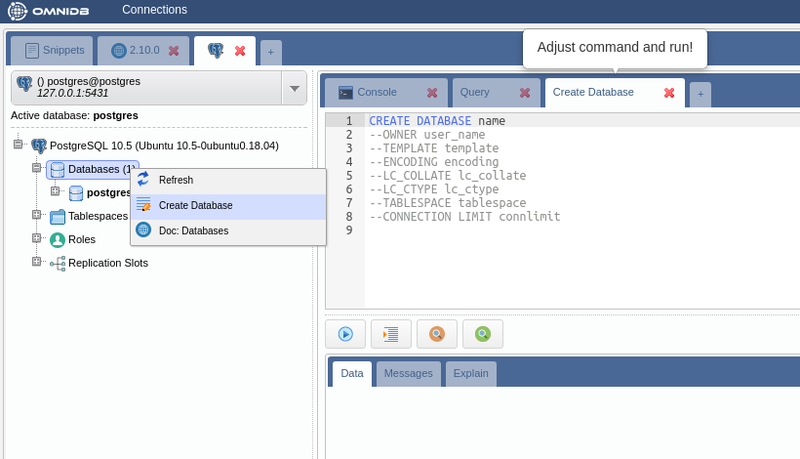 From here you can configure OmniDB, install plugins and see your SQL command history (top right corner). 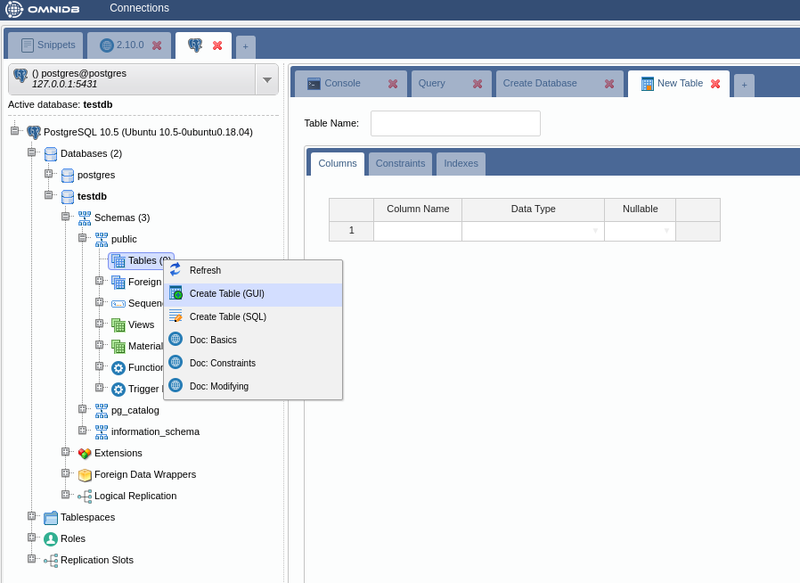 You can also re-open the Connections Grid and add more connections to other database servers. Expand the PostgreSQL tree root node, then expand the Databases node. You will see that PostgreSQL has a single database called “postgres”. Let’s create a new test database. Right-click the Databases node and click in “Create Database”. A new SQL tab will be opened, with a partial SQL “CREATE DATABASE” command. Note how OmniDB assists you with the SQL syntax. OmniDB works with the concept of “active database”, which allows you to manage multiple databases from the same instance in the same workspace. By clicking in the “Yes” button, “testdb” database will become active. Now expand the “Schemas” tree node, then expand “public”, then “Tables”. You will see that this database still does not have any tables. Let’s create a table now! 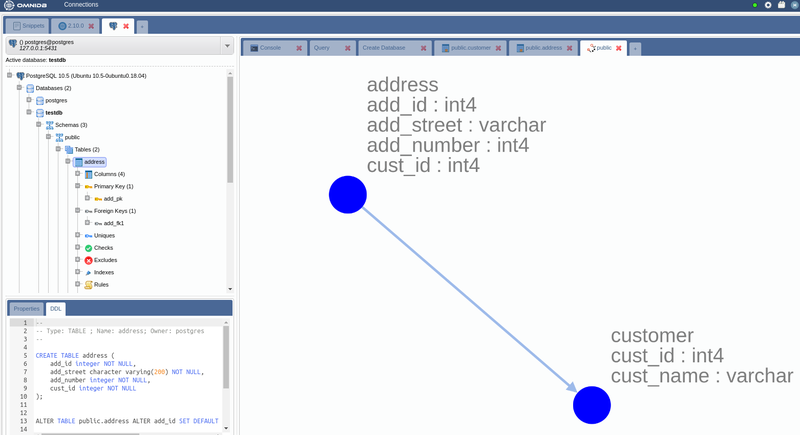 OmniDB allows you to easily create tables with a handy graphical form. For more advanced users, a complete SQL template for creating tables is also available. Right-click the “Tables” node and then click on “Create Table (GUI)”. Please find out more examples about creating tables, as well as information about other OmniDB capabilities in the comprehensive OmniDB documentation. There are lots of features to explore! PGInstaller (with OmniDB) is available for download here. /wp-content/uploads/2019/04/2ndQuadrant-Logo-e1554357894467.png 0 0 Marriya Malik /wp-content/uploads/2019/04/2ndQuadrant-Logo-e1554357894467.png Marriya Malik2018-09-04 13:30:332019-04-14 08:37:04PostgreSQL installer by 2ndQuadrant - now supports OmniDB!